There’s an expectation that you should be blooming and full of the joys during your pregnancy. It’s an exciting time so why wouldn’t you feel happy eagerly awaiting your new baby’s arrival. Right? What if the reality is different and you feel far from thrilled and instead feel confused, isolated and depressed. I see so many women who feel this way and they are despairing, fearful and stressed dealing with these unwanted emotions. They think there is something wrong with them. They feel guilty, ashamed and alone. Who can they share these thoughts with at a time when everyone expects them to be happy and grateful? They have been told, it’s just their hormones so are expected just to get on with it. They are plagued with mixed emotions meeting soon to be mums who are bursting with excitement and they wonder why they don’t feel the same way. They smile and laugh with well-wishers when in fact they are crying inside. It can be even more cruel to feel depressed when you have been trying to conceive for some time and your dream finally comes true. While we are familiar with hearing about post-natal depression or the baby blues, depression during pregnancy is rarely talked about. I’d like to share a case of a beautiful client I worked with who had suffered with depression during her first pregnancy and was now struggling again during her second pregnancy. “The minute I found out I was pregnant I fell into a depression. I should have been overjoyed. I had morning sickness and heartburn during the first trimester but months on and I’m exhausted and I’m finding it hard to cope. I feel so emotional and I cry over the smallest thing. I have no interest in doing anything anymore such as cooking, being with friends or socialising. I don’t want to get out of bed in the morning, in fact I dread it. I just want to be on my own. I’m angry with my husband all the time and I’m constantly snapping at him. I feel very alone. I’m normally a calm, happy, optimistic person and nothings a problem. This is not me”. Other symptoms she experienced included feelings of anxiety, loss of appetite and an inability to concentrate on simple tasks. After taking a detailed case I prescribed a remedy that matched her symptoms and the changes were quite dramatic. *Juliana explain her experience from the outset in her own words here. “I met Eileen when I was at the end of my second pregnancy. I was going through a lot of difficult times, low self-esteem, sadness, loneliness, low mood, crying all the time and feeling very down. I also had an immense fear of having postpartum depression which I had after my first child. I had actually been seeing Eileen for my daughter’s health and had not thought about using homeopathy during pregnancy or for post-natal depression until we were chatting generally about how I was feeling. 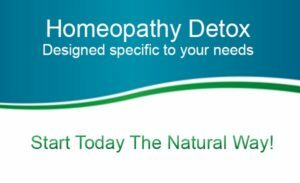 When she explained what was possible I knew I wanted to start homeopathic treatment. After explaining to Eileen how I was really feeling with this pregnancy, Eileen helped me with her famous magical white pills. I can say that in just two or three days after taking my homeopathy remedy, the results were impressive. 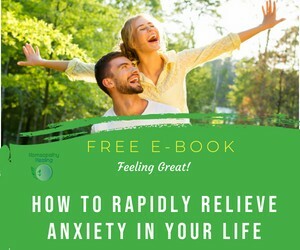 I felt a positive shift in my energy and the feelings of joy returned in my body and mind. I felt calmer, the sadness lifted, I stopped crying and I’m now smiling again. I am less angry and I’m not snapping at my husband and I’ve been feeling chilled out. I have more energy now and I feel like I have taken an energy drink – I just don’t stop. I am like the person I use to be. I’m back to myself and I am so glad I am able to enjoy the rest of my pregnancy. It’s such a relief. I continued to take the remedy in the postpartum period and all the fears and symptoms I had previously felt last time disappeared. Eileen is an amazing professional and super caring. She listened carefully to everything I said during our sessions and she regularly checked in to see how I was feeling. I highly recommend her services”. “I am still feeling absolutely great after those magical white pills . Much happier with myself and less pressure with baby number two. I am glad I met you”. Homeopathy is an excellent form of natural medicine that can gently support women with depression or other emotional, hormonal or physical changes during and after pregnancy. Homeopathy is a safe alternative for both mother and child through the journey of pregnancy, childbirth and post-labour care and it is particularly welcomed for health problems when women are often advised against or are reluctant to take medication because of fear of side effects. Would you like to enjoy your pregnancy and motherhood? If you are struggling with depression during pregnancy or other physical or emotional challenges and you would like help in making things better so you can get on with enjoying motherhood, please feel free to book an appointment on Tel: 086 0891037 (International: +353 86 089 1037), email me at eileen@homeopathy-healing.com or book a Free Clarity Call.